I really wanted to jump right in Sunday night and give my take on the firing of Mike McCarthy. But after a few (or a dozen) cocktails I figured it was best to hold off and soak everything in first. And it was a good decision. I read and watched and heard all of the takes on the firing, and it was interesting to say the least. So here is what I think. 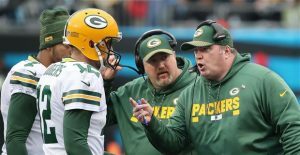 The Packers president Mark Murphy did the right thing in putting McCarthy out of his misery with four games to go. I really think McCarthy is relieved right now as well. 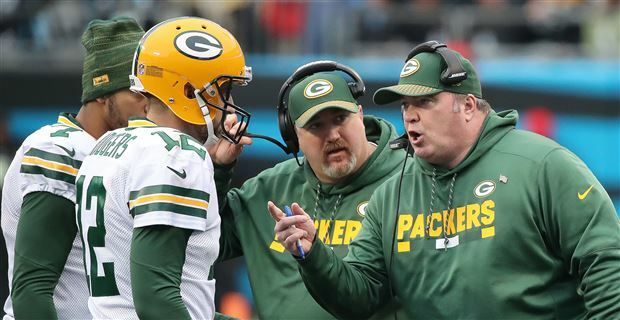 After the loss to the Cardinals it would have been insane to keep McCarthy as coach the last four weeks. I knew it, you knew it, the American people knew it. McCarthy was going to be fired at the end of the season anyway. It made no sense keeping him on any longer. After initially wanting defensive coordinator Mike Pettine to be the interim coach, I realize that Joe Philbin was the right choice. The only thing I think will change is that quarterback Aaron Rodgers is going to have more say in the play calling. Or at the least, trust Philbin more than he has trusted McCarthy this year. Rodgers has taken a lot of heat this year, I applied a lot of that myself even though he doesn’t even know I exist. But Rodgers has not played well this year and if the Packers light it up the next four weeks it will quite telling. The dumbest thing I heard was that the Packers should have made this move when they changed general managers last year. How exactly would that work? How can you hire a coach at the same time you are hiring a general manager? How can that new GM be expected to have time to do a thorough search for a new head coach. It’s not like when Ron Wolf was hired mid-season and had two months to find his replacement for Lindy Infante. Murphy did the right thing in January and did the right thing now. And if you want another sign things are changing in Green Bay Philbin fired assistant head coach Winston Moss today after an incredible post on Twitter. Simply unbelievable that this guy would trash the guy who kept him employed for many more years than he should have been. Moss is probably the worst coach in the history of the NFL. Keeping him employed was reason enough to fire McCarthy. There is a new sheriff in town. And I love it! "Winning is not everything -- but making the effort to win is."